In our ongoing series on owls, ONE looks at the smallest owl that can be found in New England - the Northern Saw-whet Owl. What this owl may lack in size - it’s only around eight inches long - it makes up for in the cuteness department. Although small when in flight they appear much larger due to their broad wings. 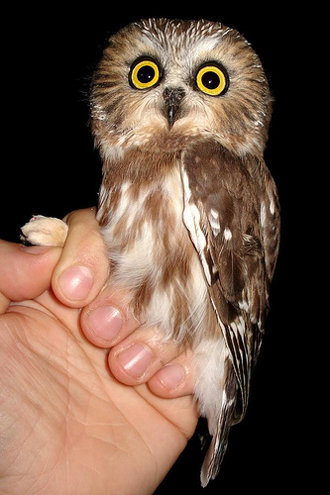 The Northern Saw-whet Owl has a disproportionately large head, a small body and no ear tufts. The facial disc has brown and white radials around the edge, but these often fade to white around the owl’s large bright yellow eyes. The remainder of the head is light brown with white streaks and it has a black bill. The owl’s body is brown (or sometimes a reddish-brown) streaked through with white underneath and spotted on the back. 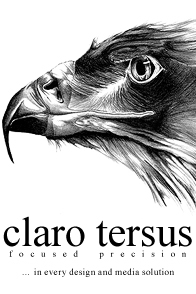 Its plumage is fluffy and this together with its size and large eyes makes it quite distinctive. The forests of New England are an ideal habitat for the Northern Saw-whet owl, and they often nest in tree cavities that have been made by woodpeckers. 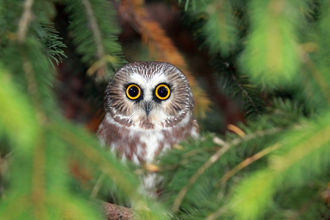 The Northern Saw-whet Owl is silent except during the breeding season between March and May. The primary courtship call is a monotonous, whistled “hoop”, which may last continuously for several hours and can be heard here. The owl’s name comes from the “skiew” call it makes when alarmed as it resembles the whetting of a saw. 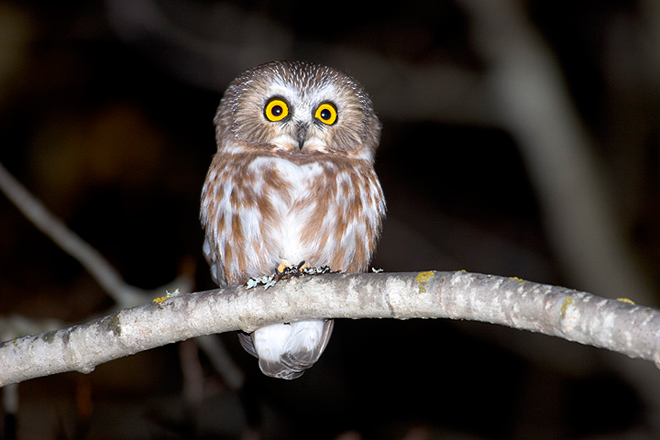 Northern Saw-whet Owls feed almost entirely on small mammals, such as deer mice, shrews and voles. Other prey can include moles, bats, squirrels, small birds and frogs. They hunt mainly at dawn and dusk and “sit and wait” for an opportunity to present itself before dropping down onto prey from low perches. The Northern Saw-whet Owl is nocturnal and during the day relies on its plumage for camouflage when roosting in foliage. If threatened, they will elongate their body so that they appear to be a tree branch to would-be predators, and may bring one wing to the front to cover their face. Captive Northern Saw-whet Owls have lived for up to eight years, but mortality in the wild is thought to be high as it competes with squirrels and Boreal Owls for nest cavities and are preyed upon by other raptors. These owls migrate from New England down the Atlantic corridor during the cold winter months, usually settling in the central states. Juveniles are more likely to migrate than adults and move farther south. Being difficult to spot because of their nocturnal nature, these wonderful owls are a rare treat for bird watchers. In the next article in this series, ONE will look at the Barred Owl.